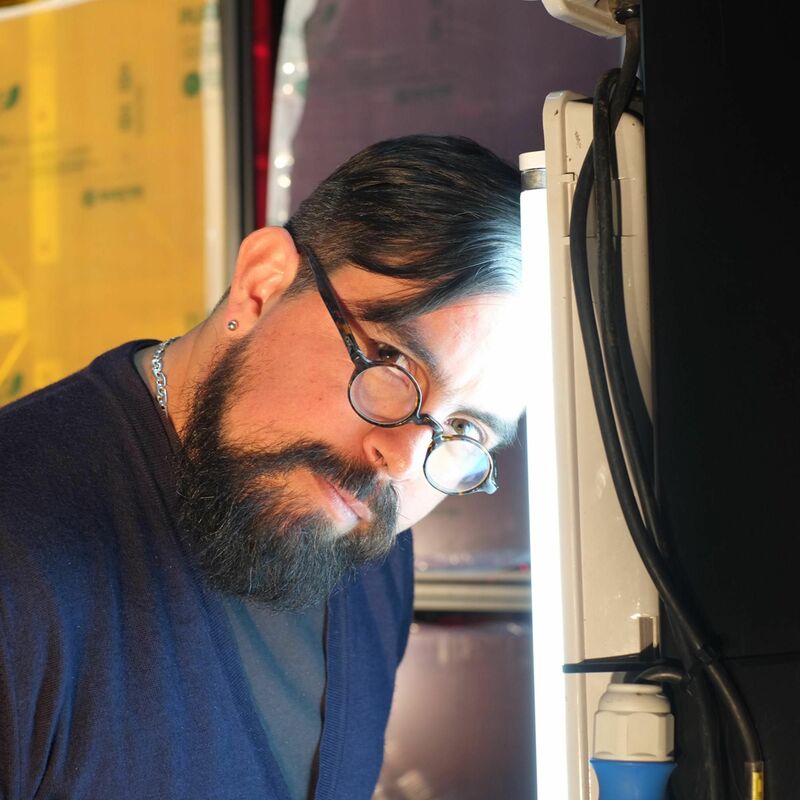 The lighting designer and artist Tupac Martir (featured in Jocks&Nerds issue 18) has been appointed the creative director of the exhibition Sølv. Meaning “silver” in Danish, Sølv features sculptural works from eight international artists. It is curated by the Gold-Smidt Assembly, a bespoke art dealer and creative consultancy. Known as "Mr. London Fashion Week" for his lighting designs at runway shows, Martir’s activities extend far beyond fashion. Born in Britain to Mexican parents, and educated in Mexico, Italy and the US, his creative output includes painting, installations, performance art, theatre and graphic novels. He has written and directed a multi-disciplinary opera, Nierka, and worked with Nederlands Dans Theater. In 2014, he curated the Looking Outside My Window festival at Rich Mix in Bethnal Green, and in 2015 he lit the façade of the British Museum for its Mexican Day of the Dead celebrations.